Markets for carbon credits, clean energy, and energy efficient products are constantly changing. Earthpace’s in-depth analysis can help clients make sense of these complexities. Our consultants provide research on industry health, current and pending market drivers, regulatory pressures, business models and value streams, allowing our clients to conceptualize the market sector-by-sector. At Earthpace, our analysis interacts with our decision support services to help our clients identify market-based solutions to meet their goals. Regulatory and policy changes have a profound influence on entities working in climate, energy and sustainability. Earthpace’s innovative analysis helps its clients – whether in government, the private sector, or the non-governmental community – respond to these changes and develop cutting-edge products. Our expertise to predict and analyze policy trends helps our clients discover and capitalize on opportunities presented by regulatory and policy decision-makers. Earthpace’s analyses encompass more than just energy and climate legislation and regulation; our consultants examine broader environmental compliance issues in order to identify between climate regulation and other environmental issues. Earthpace has completed a number of projects providing analysis of complex policies and economic markets. A selection of those projects follows below. Earthpace provided technical assistance to a major international non-government organization regarding the development of policy options and advocacy opportunities to respond to the increasing threat to seabirds, human health and the environment posed by chronic oiling from land and marine-based sources. The analysis included impact on communities, natural resources, and the economy. 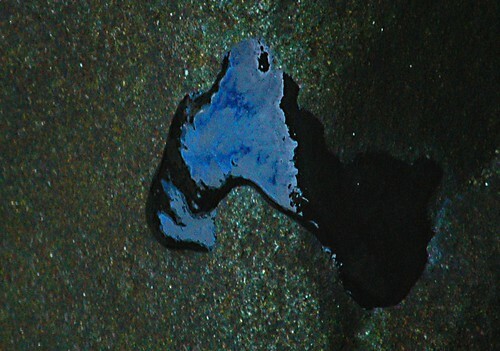 Oil spill image courtesy of flickr.